You have a hard disk image (.hds) file in Parallels Desktop 7 for Mac, on which you want to do data recovery. 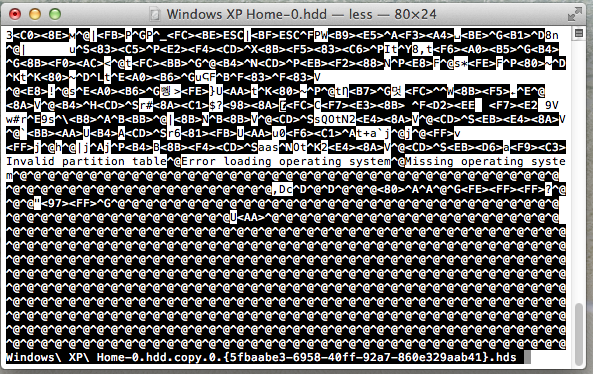 The "DiskDescriptor.xml" file states that the .hds image file is compressed. Follow these steps to decompress the image file into a raw disk image, called a Plain disk. Start Parallels Desktop 7 for Mac. Click the name of the virtual machine containing the disk image that you wish to decompress. It should say this is an Expanding disk (ie compressed format, resizable) and its size (64 GB in this example). 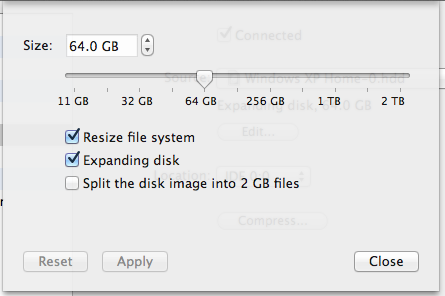 Ignore the "Compress..." button; that is to do with reducing unused space inside the disk image. Untick "Resize file system" and untick "Expanding disk". Leave "Split the disk image into 2 GB files" unticked. Click Apply. Parallels will convert the existing image into a Plain disk image. The program that does the job is called prl_disk_tool and the command that is invoked is shown in the Terminal window below. This may take some time to complete. Go to Home -> Documents -> Parallels. 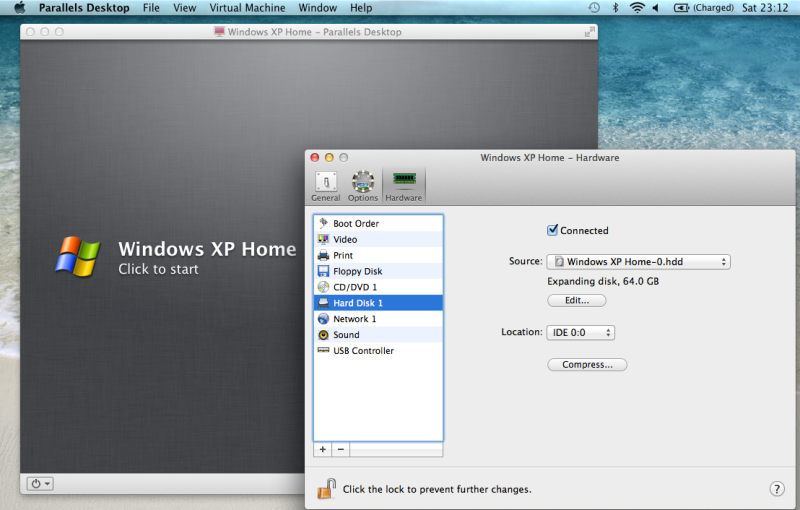 Right-click the virtual machine name eg "Windows XP Home.pvm", click Show Package Contents. 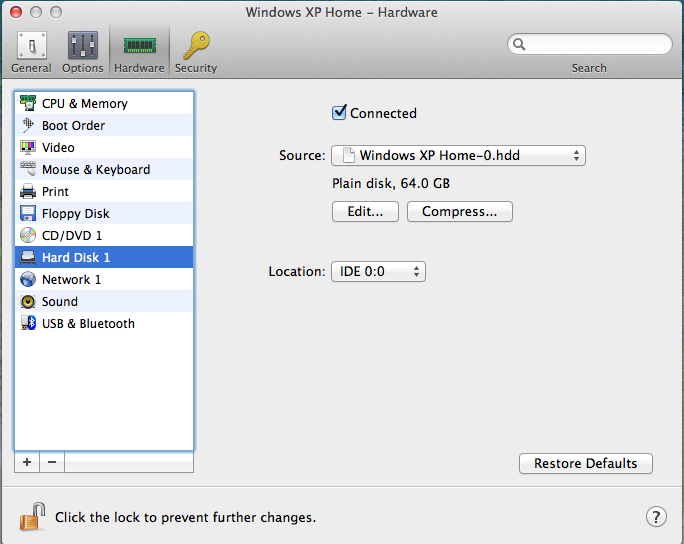 Right-click the hard drive's name, eg "Windows XP Home-0.hdd", click Show Package Contents. Here you will find the decompressed image, with the long name ending ".hds". Notice the file size, in this example, 64 Gb, as expected. 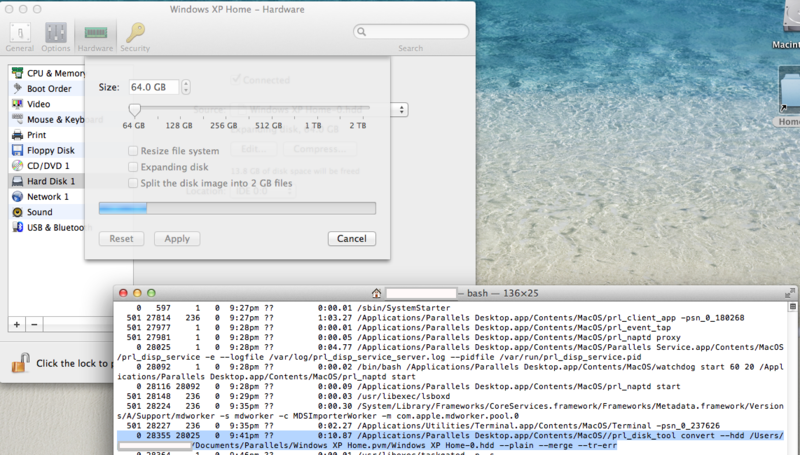 In this case it is an NTFS formatted drive image. You may then open this image file with the tool of your choice. Or copy it onto a physical drive. Using the "less" command sees the start of an NTFS formatted drive in the usual way. Did this help? If so, feel free to let me know. phil [at] pjc.me.uk. Replace [at] with @ to email.